The Academies Bill, laid before Parliament just 14 days into the Coalition government enabled secondary schools, primary and special schools classed as ‘outstanding’ to become academies without a requirement to consult local authorities. In November 2010, the possibility of schools applying for academy status was extended to those deemed ‘satisfactory’ by Ofsted, if partnered by an ‘outstanding’ school. Michael Gove, then Secretary of State for Education, said that he expected that academies would become the norm among English schools. The Academies Act also authorised the creation of Free Schools – a type of Academy, a non-profit-making, independent, state-funded school, which is free to attend, but which is not controlled by a Local Authority. The Academies programme is both imposed on ‘failing’ schools and is self-generating – ambitious chains and individual sponsors wanting to run more schools, and head teachers and governors looking for budget maximization – ‘failing schools’ are handed over to existing chains or ‘brokered’ by DfE consultants to new sponsors. ‘Outstanding’ schools are encouraged to form relationships with less well-graded schools and superheads are parachuted in to ‘save’ under-performing schools. Both academies and free schools were created as responses to what was presented as the low standards of performance of some state schools, especially in areas of social disadvantage. These schools, it is argued by their sponsors will bring creativity and energy to bear upon entrenched social and educational inequalities. 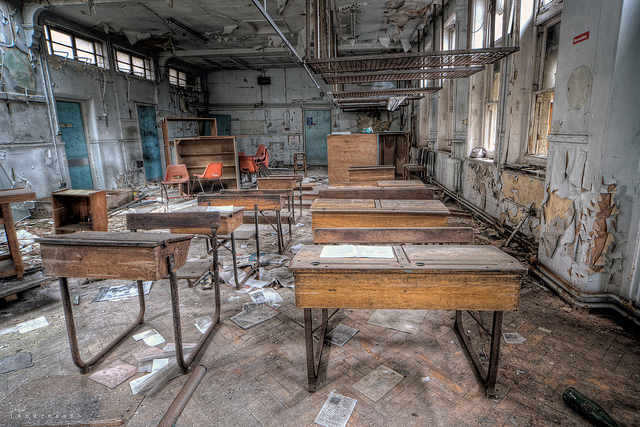 “overwhelming proportion of pupils … not receiving a good education”. In fact, a number of Academies and Free Schools have been deemed by Inspection and performance outcomes as ‘under-performing’; some chains of Academies have been found to be unable to manage their schools effectively; some chains and academies and free schools appear to be indulging in dubious financial practices; the free schools were supposed to be targeted at areas of social disadvantage but recent research indicates their distribution does not reflect this aim. The Ofsted assessment of E-Act academies reported “overwhelming proportion of pupils … not receiving a good education”. Inspectors visited 16 of E-Act’s 34 academies over a two-week period – one was judged Outstanding, four were Good, six were judged as Requires Improvement and five, including Hartsbrook E-Act Free School, were Inadequate. Hartsbrook has now been closed twice and has its third sponsor. Inspectors also discovered E-Act had deducted a proportion of pupil premium funding from each academy until 1 September 2013. Ofsted was unclear how the deducted funding was being used to help disadvantaged pupils. Four free schools have been rated “inadequate” by the inspectorate, of the 41 that have had judgments published as of April 2014 – this is 9.7% compared with the national average for all schools of 3%. Overall, 79% of state schools are rated good or outstanding compared with only 68% of free schools (watchsted.com 2014). In December 2014 the Chief Inspector of Schools, Sir Michael Wilshaw, a one-time academy superhead, stated in his annual report that struggling schools are ‘no better off’ under academy control and said there could be little difference in school improvement under an academy chain or a council. Imagining the position of a head teacher of a newly converted academy, he said: “In fact, the neglect you suffered at the hands of your old local authority is indistinguishable from the neglect you endure from your new trust”(The Guardian 10 December 2014). Finally, a report for the House of Commons Select Committee, on conflicts of interest in academy trusts (Greany and Scott, 2014), identified a number of dubious practices and inappropriate financial arrangements and concluded, “that the checks and balances on academy trusts in relation to conflicts of interest are still too weak. In the course of the research we came across a significant number of real or potential conflicts of interest that we found concerning” (p. 3). There have been a number of high profile examples of financial malpractice. Academies and Free schools are specifically intended to break the local authority monopoly of school provision, indeed to residualise LAs. However, evidence indicates that many academy trusts are unable to manage their schools effectively, that many academies and free schools are underperforming compared with their LA counterparts, but that many recruit a more socially advantaged intake than their LA counterparts. In all of this there is a lack of oversight and transparency. Our relationship to schools is being modelled on that of the privatised utilities – we are individual customers, who can switch provider if we are unhappy, in theory, and complain to the national watchdog if we feel badly served – but with no direct, local participation or involvement. Greany, T. and J. Scott (2014) Conflicts of interest in academy sponsorship arrangements: A report for the Education Select Committee, London Centre for Leadership in Learning, Institute of Education, University of London. 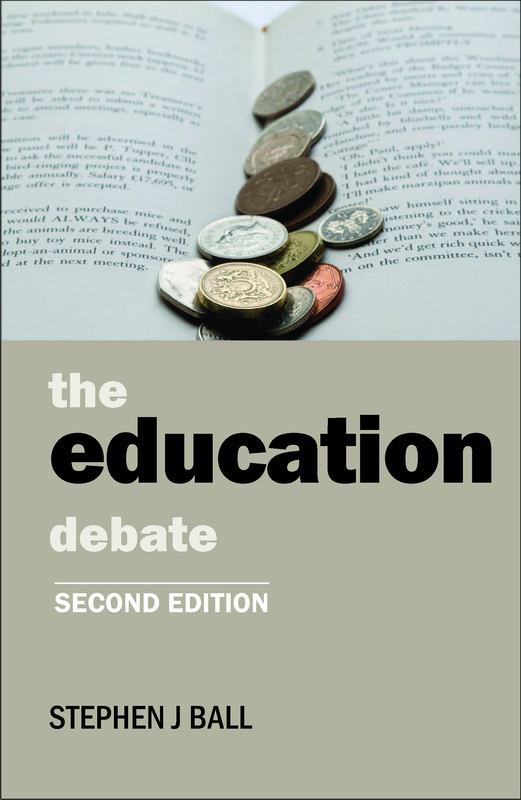 The education debate by Stephen J Ball is available for purchase from our website here (RRP £12.99). Don’t forget Policy Press newsletter subscribers get a 35% discount when ordering through our website. If you’re not a subscriber yet why not sign up here today and join our Policy Press community?